Visit UNCF.org/KochScholars for more information. Q. 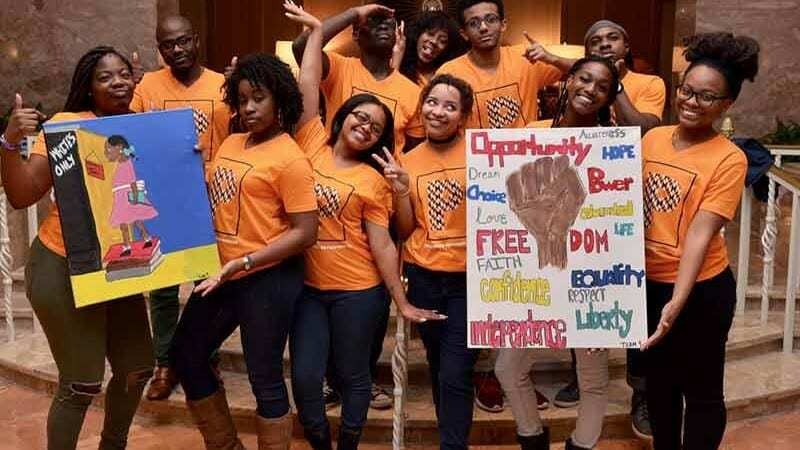 What does the grant and UNCF/Koch Scholars Program entail? A. The UNCF/Koch Scholars Program offers scholarships, mentorship, academic support, and networking opportunities to talented African American undergraduate students. The grant represents a major opportunity to help young, aspiring African American students who are seeking scholarship assistance. The program is focused on how entrepreneurship, economics, and innovation contribute to well-being for individuals, communities, and society. Q. Who are the supporters of the program and how did it come about? A. In 2014, Koch Industries Inc. and the Charles Koch Foundation provided a $25 million grant for the UNCF/Koch Scholars Program. Q. How are UNCF/Koch scholarships awarded and how many students have been impacted? A. UNCF/Koch scholarships are awarded to incoming freshmen and rising sophomores for one semester and are renewable every semester thereafter provided eligibility requirements are maintained. The funding provides support to students at universities across the country (including the 37 UNCF-member HBCUs) and will help ensure that motivated and deserving African American students can achieve their dream of a college education. As of early 2017, more than 177 students have received funding from and participated in the program. Q. How much is awarded for each UNCF/Koch Scholarship? A. Students can receive up to $2,500 per semester ($5,000 per year), provided they meet and maintain scholarship eligibility requirements.